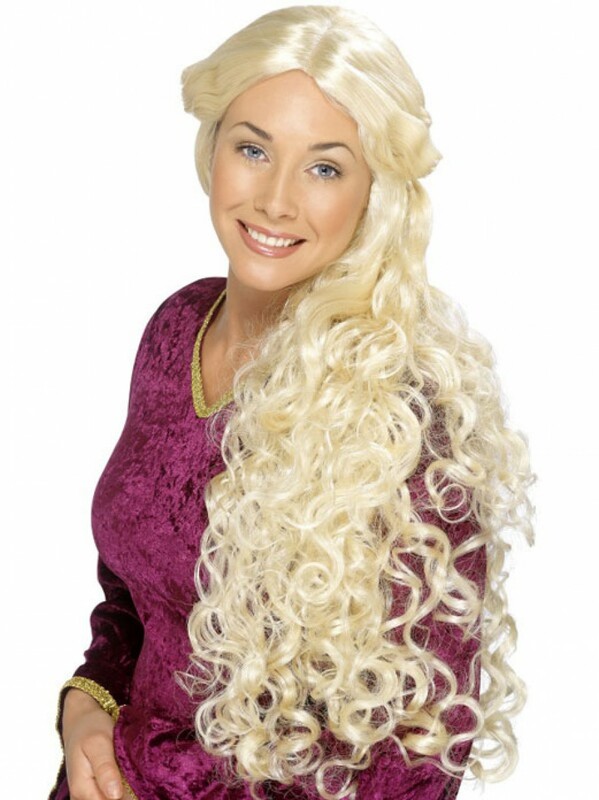 This long curly blonde Renaissance Wig is the perfect finishing touch for lots of characters to create a medieval look. A long blonde wig which has a tied back section on the top and long flowing curls to create a fantastic design. The bright blonde colour has a lovely sheen for a quality look. This fantastic wig will compliment any Medieval Costume from Maid Marion to a Renaissance lady!